Vladimir Krakovich was born in Kiev, Ukraine, and earned a master’s degree from the Music Conservatory in Rostov-on-Don. He studied with Abram Shtern, concertmaster of the Kiev Opera. Before joining the Indianapolis Symphony Orchestra in 1984, he played four years with the Syracuse Symphony and a season with the Cincinnati Symphony. 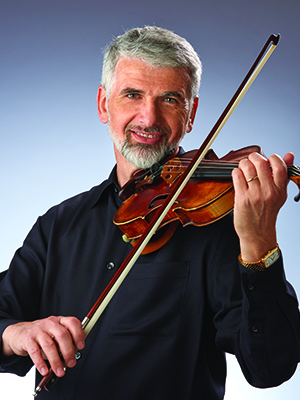 Krakovich has served as a section coach for the ISO’s Side by Side program, is a founding member of the Indianapolis String Quartet and teaches privately. He and his wife are the parents of two children and one grandson. He enjoys reading and because he is a wine enthusiast, he enjoys a good bottle of wine.